25th Dragoons scarce WW2 NCOs Bullion Arm Badge. 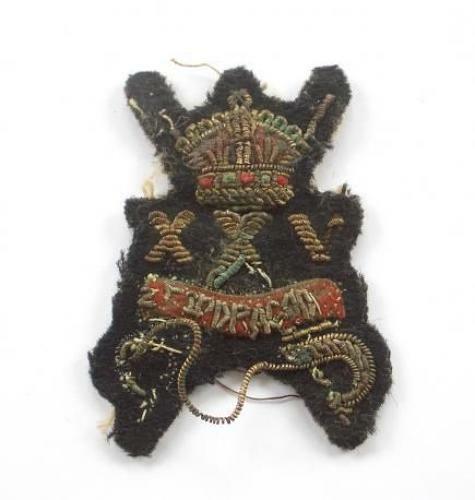 A rare bullion embroidered example, set onto a black background, some small amount of wear to the bullion. See photographs. Raised at Sialkot, India 1st February 1941 with a cadre from 14/20th Hussars. Mobilised 23rd May 1942 at Risalpur. Stood down at the end of the war.